Add this high-quality pant to your career wardrobe. 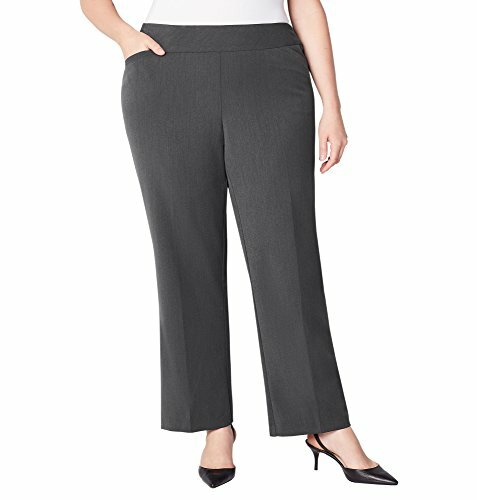 The slimming effect of tummy control combined with the comfort of pull-on will make these a daily favorite. Plus size pant. Pull-on style. Tummy control. Slash pockets at the hips. Rayon/nylon/spandex. Machine wash. Imported. Approx. 31 inch inseam.